So what do you make after the big budget, super-techy Ghostbusters table? How about a trip back to the 1960s style of design? Stern has posted details of its newest table, The Pabst Can Crusher, and it’s a complete throwback to an older style of design. 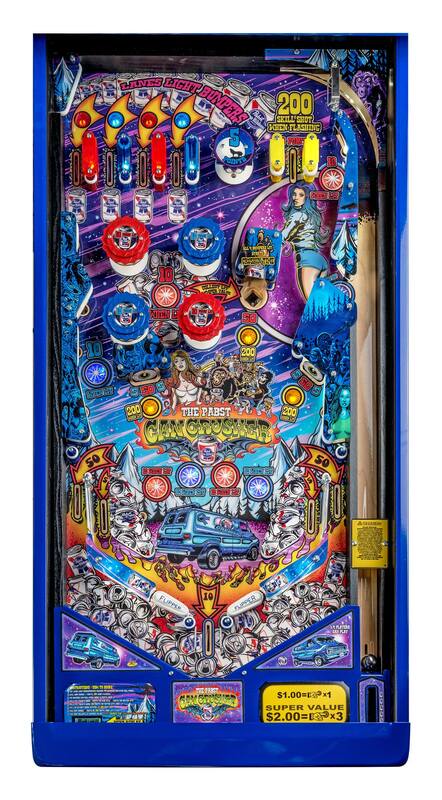 Not only is the board a single level but it’s also got mechanical scoring that tops out at 9,999 and tiny little flippers with non-mechanical bumpers near their tips. It’s a relic lost in time with a table design from the 60s, a good chunk of the art featuring elements of the 70s, and the art style and music being straight out of 2016. The mash-up of eras makes for a unique tone, and players will be able to get some hands-on time with it when Can Crusher debuts at Comic Con International next week.